Dr Watkins is a physician-scientist with specific interests in lung and pediatric cancer. His basic research focuses on tumour biology, epigenetics, developmental biology and the genetic basis of resistance to chemotherapy. In translational research, he is recognised for his work on new therapies for lung cancer, and for the treatment of aggressive childhood brain tumours. He currently holds the position of the Petre Foundation Chair in Cancer Biology at the Kinghorn Cancer Centre, Garvan Institute of Medical Research. After completing medical school, physician training and a PhD in Perth Western Australia, he moved to the Johns Hopkins Kimmel Cancer Centre in Baltimore MD, reaching the rank of Associate Professor of Oncology. During his postdoctoral training, he was supervised by Dr Steve Baylin (Professor of Oncology, Assistant Director of the Sidney Kimmel Cancer Centre) and Dr Phil Beachy (Professor of Molecular Biology and Genetics and Howard Hughes Medical Investigator). Both are world-renowned in the fields of cancer epigenetics and developmental biology, respectively. His work focused on the role of aberrant developmental pathways in cancer and how they might be pharmacologically exploited therapeutically. These studies have led to several extremely high impact publications, funding from internationally competitive research grants, multiple research awards and the development of a rapid translational pipeline, resulting in the delivery of these new therapeutic approaches the clinic. In the 15 years following his PhD, Dr Watkins has published over 58 papers, including highly cited peer reviewed reports in Science, Nature, Genes & Development, Nature Genetics, PNAS and Cancer Research. His PhD thesis was supported by an NHRMC scholarship, and the first 2 years of his postdoctoral fellowship by a NHMRC CJ Martin Fellowship. While on the faculty at Johns Hopkins, he successfully obtained large-scale extramural funding as a principal investigator, including several NIH grants. His work was also recognised by several highly prestigious awards, including the National Cancer Institute Career Development Award, the General Motors Award for Cancer Research, and the Children’s Brain Tumour Foundation House of Hope Award. Since his return to Australia in 2009, Dr Watkins has secured major NHMRC funding, including a Senior Research Fellowship, and large scale program funding from the Victorian Cancer Agency (VCA). Within 5 years, he has established a basic and translational research laboratory of 8 outstanding young scientists, established key collaborations within Australia, and has developed a nationally recognised mouse cancer genetics program. 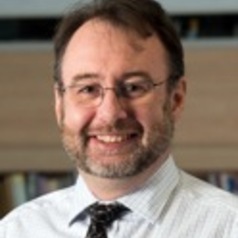 In addition, he has played key leadership roles in Monash University’s strategic plan for cancer research, the formation of the Monash Comprehensive Cancer Consortium, and more recently, as an advisor to the Victorian Minister for Health on the Victorian Cancer Agency Council.